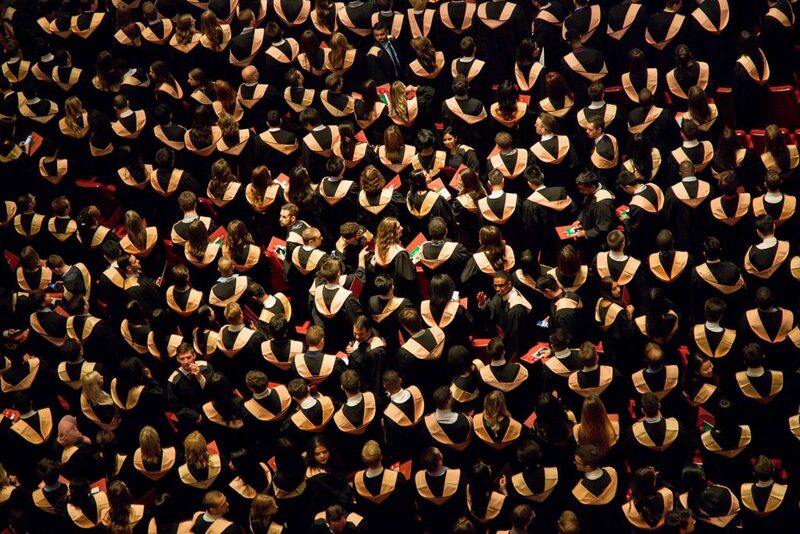 Finding the top job after graduating from University is the reward for years of study. Tips for graduates – Graduates want to find the right employment for their career to use their newly gained knowledge and to pay of those student loans. The work market is a competitive place so here are some tips to successfully securing the right employment. It’s important to remember that grades alone do not guarantee employment, having a Degree demonstrates a level of educational achievement but to get ahead in the job market you need to show you have maximised on your opportunities at University and elsewhere. When looking for a job it helps to have a career plan with defined milestones to indicate your progress from new graduate to full professional. Sometimes taking a job in a related area could be a stepping stone to the employment you want and help to progress your career. Join a recruitment agency to broaden the scope of jobs you apply for. Consider smaller companies or start ups to gain experience relevant to your chosen career. Having a job to gain work experience looks better on your CV, even if it is not quite the dream employment, it could lead you to the right job. Or consider self-employment using your own creative innovation; business mentoring and innovation grants are available through Innovate UK. Graduate apprenticeship schemes are designed to help you step into employment and demonstrate a commitment to your chosen career. It is important to include work experience and part time jobs to show you are motivated to find employment. Present your CV in an attractive format, if you are not to technically minded there are templates and resources to help create your CV and give you examples of how best to use it to your advantage such as The Lighthouse Project and the very stylish Creative Blog templates. Tailor your CV when sending off job applications to highlight the employment and skills you already have which suit the job you are applying for. Upload your CV to Go Career we have many companies which have jobs pending that can contact you directly. Learning does not end with University, continuing to add courses to update your knowledge indicates an interest in your chosen career. The Open University has a selection of online courses for free. Look at your career path and see if you have a knowledge gap which can be rectified by adding a course, some carry additional qualifications. Employment opportunities for most careers can be enhanced by taking a managerial course which can be studied part time. Whichever job you are interested in would need good IT skills. To get ahead in the job market,have a good level of computer knowledge to help secure employment. Employment is as much about who you are, as about what the job is. To demonstrate flexibility and personality you could enhance the social and community interests you have. Try Volunteering to gain skills which can be transferred to your career. Things you have achieved in your personal life, whether in sport or through hobbies, show application and character as they are things you have worked at and should be proud of. Adding travel experience to a CV shows an ability to plan and manage different cultures and landscapes and do so safely. Employment is not always on our doorstep so relocating might be part of the career plan. Completing the application form in a presentable and thorough manner will help with the selection process. The application form is your first introduction to the organization which could offer you a job. Taking time to prepare your responses to the questions are your first step to gainful employment. At this stage research the company thoroughly and know your profession. Your CV and application form have brought you a job interview, now your presentation on the day is important, this is where your confidence and knowledge can lead the way to the employment you want. This is your opportunity to secure the job by giving a professional interview and successfully progress along your career path.